The 92nd PGA Championship is being held at Whistling Straits, about an hour north of Milwaukee. Today, I went to the practice round and got to see some of the world's best golfers in a relaxed environment. 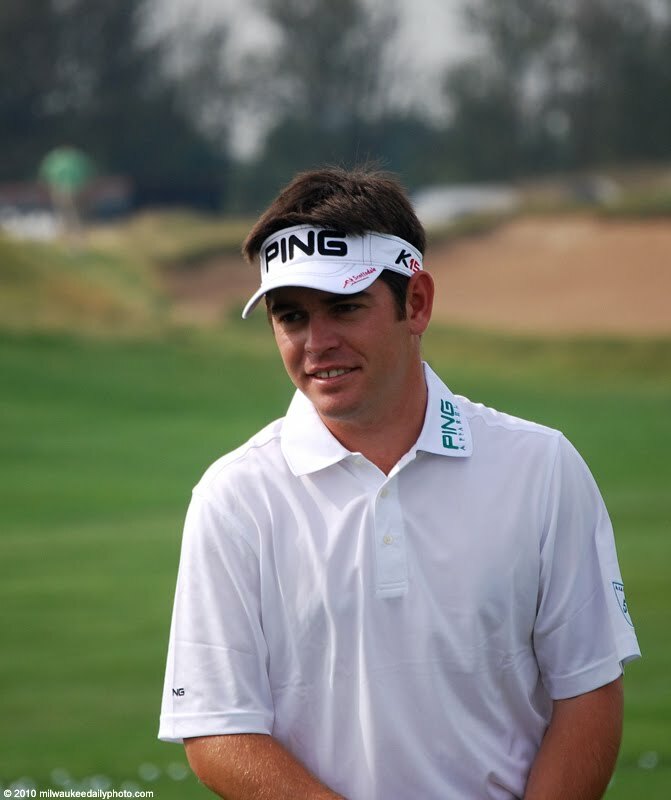 Today's photo is of Louis Oosthuizen at the driving range, enjoying a discussion while getting some practice strokes in.